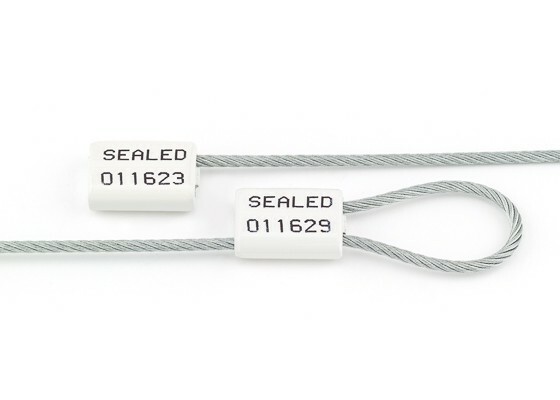 EZ-Loc 1/8" x 12" Cable Seals EZ-Loc Cable Seals are a high security cargo cable seals featuring non-preformed security cables that fray when cut. Our Cable Security Seals provide you with the measured security you need. 1/8" EZ-Loc Cable Security Seals are CTPAT/ISO 17712 compliant***. Lock zinc body is available in white, in stock and ready to ship. Corrosion-resistant zinc casting, ink jet imprint "SEALED". 1/8" x 12" cable length - galvanized steel cable.